happy saturday night happy hour! First course: Cab. Last course: cake. Love this Cliff Lede – all the vineyards are named after rock songs. 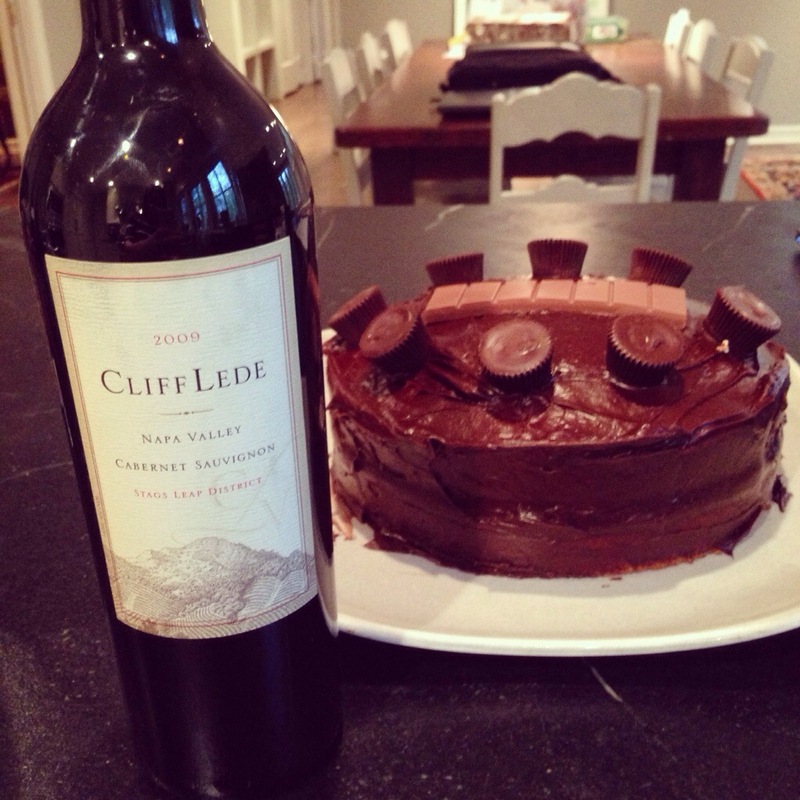 And I highly recommend chocolate cake with Reese’s Peanut Butter Cups – but not with the wine. Not a of chocolate and wine, except for ruby port. TIP: Dessert wine should always be sweeter than your dessert. Tags: cabernet, cake, food & drink, wine. Bookmark the permalink. Why is dessert wine supposed to be sweeter than dessert? Isn’t that like a sugar overkill?